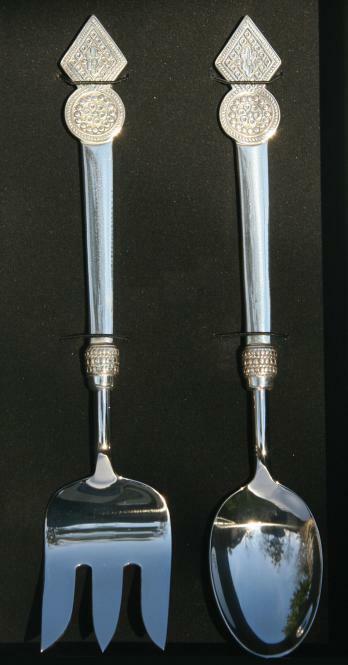 Salad servers with Omani ornaments in modern design. This design is inspired by traditional patterns of the Omani Bedouin. 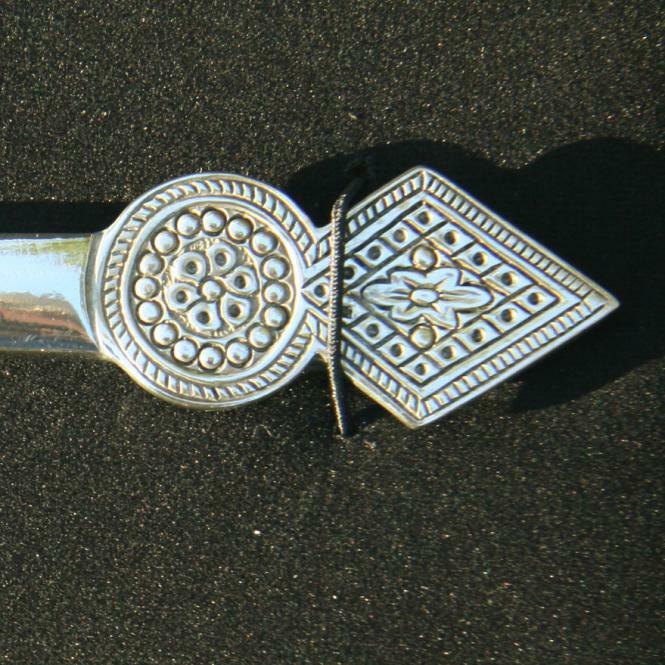 The cutlery is made of high quality cast pewter. 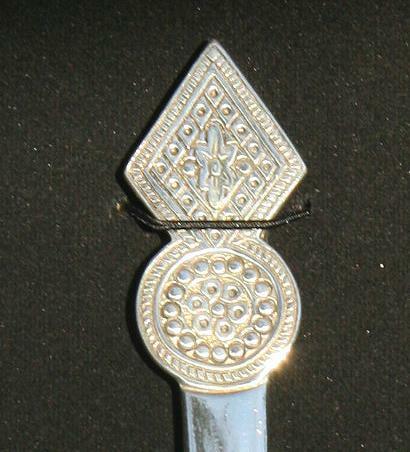 (Dimensions spoon L 26cm, W 5 cm, fork L26cm, W4,5cm ), which is used in limited production, is very high quality and also enables intricate embellishments. The designer Asma Al-Kharusi designed the accessories and cutlery for the Al-Angham restaurant at the Royal Opera House Muscat. She also has her own shop in the neighboring Royal Opera Gallery.